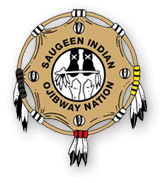 Sauble Park is privately owned and operated by the Saugeen First Nation. The park is located on South Sauble Beach and it is staffed and maintained 100% from the Chief and Council of the First Nation. The park employs entrance gate workers, full time maintenance crews to keep the beach clean and security to patrol the beach. There are no dogs allowed on the beach for safety and health reasons. The park offers two permanent rest room structures and numerous portable toilets through out the beach. Sauble Park is a clean, shallow and family friendly beach and is approximately 4 kilometers in length. This is one of the few beaches anywhere that allow vehicles to drive and park along the length of the beach. The public is welcome to visit but note that there is an admission fee to enter. The price per car is $15.00 Monday to Thursday and $20.00 per day Friday to Sunday. This is a daily admission and offers in and out privileges. A weekly car/truck pass is also available for $75.00. This price is subject to change. The park is open from late June until Labour DayWeekend. The park is an unsupervised beach and does not have any life guards on duty. There are regulations in place to ensure that everyone has an enjoyable and safe visit. If visiting please respect the rules and respect Mother Earth by leaving the beach clean and intact. There are numerous garbage cans through out the beach for your convenience.